New color to replace my old beige that seemed too pink. This has a bit more yellow or gold in it. #5 Nylon Coil Zipper is stronger & bigger than #3. It is also stronger than #5 metal or brass toothed zipper that we've used for upholstery for years. 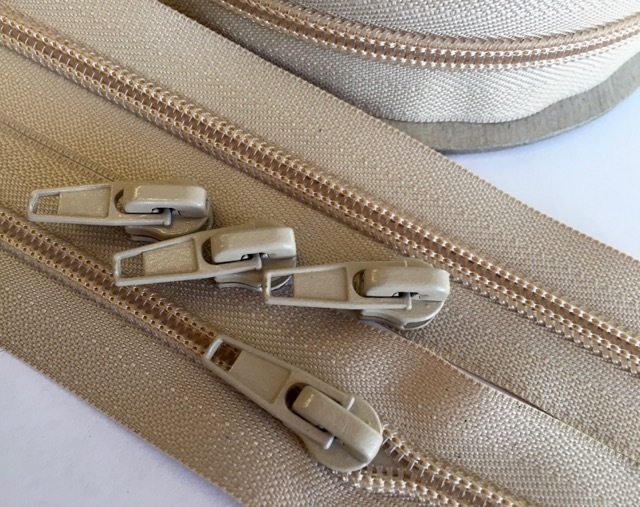 This zipper is great for cushions, upholstery, slipcovers, purses, tents & dog beds.